It’s all about family experiences when it comes to my mother. 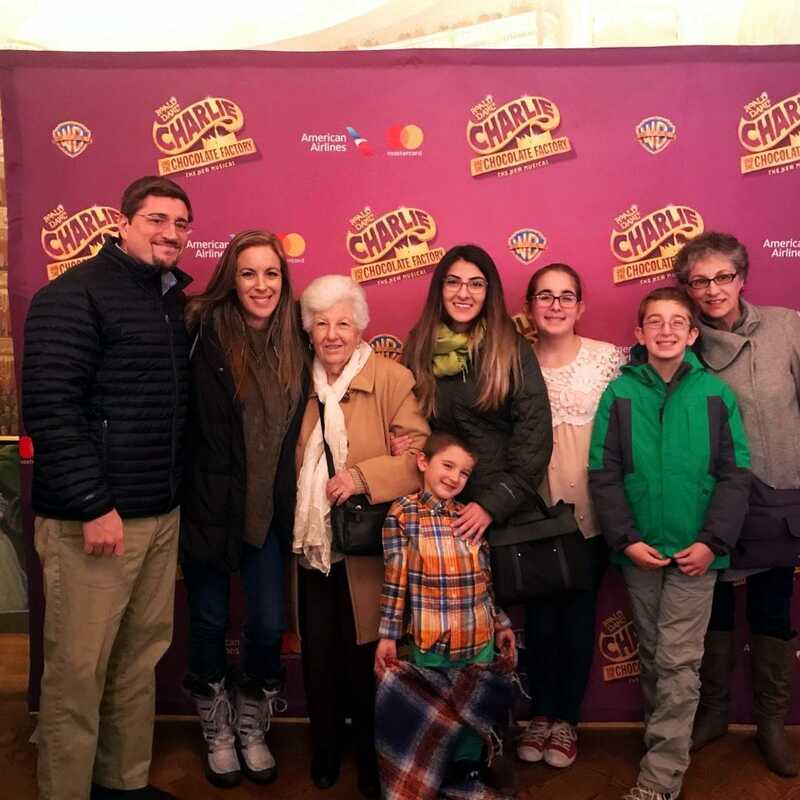 Last year, she bought us all tickets to see the Nutcracker and this year she opted for ‘Charlie and the Chocolate Factory’. I have to be honest here – I prefer a get together like this over something wrapped. These memories will last a lifetime! It was so nice to have all of us in one row – including my grandmother who is doing much better after her stroke. I did NOT think she was going to come back from what happened this summer, but she is truly thriving! We are so grateful for her recovery. I will mention one thing about the play – which is closing next month so you better get on it if you want tickets – there were a few “scary” moments. I mean, Caleb was scared into absolute stillness. He froze when the squirrels ripped apart Veruca. Yes, you read that correctly. A character gets every limb torn off of her – including her HEAD. Five pieces ripped off the body and thrown to the side. Kids started to CRY. It was insane. I couldn’t believe it! But I kept telling Caleb that it was just a doll and that they switched out the real character behind the curtain. I think he believed me… I hope he did! So crazy that a scene like that would be included!! Of course, Natalie and Liam thought it was hilarious. But if you have little ones, warn them ahead of time so they know what to look out for. The scene was traumatizing. After the play, we headed back to Astoria for some pizza and gaming. My cousin finally got an XBox, so everyone battled via Injustice. I … LOST… to… Caleb. I mean, what is happened?? I was a Mortal Combat fanatic. How could I lose?! My age is showing. This obviously means I have to stop working and spend the next 2 weeks gaming to build up my skill level. I mean… OBVS! A new tradition was made. 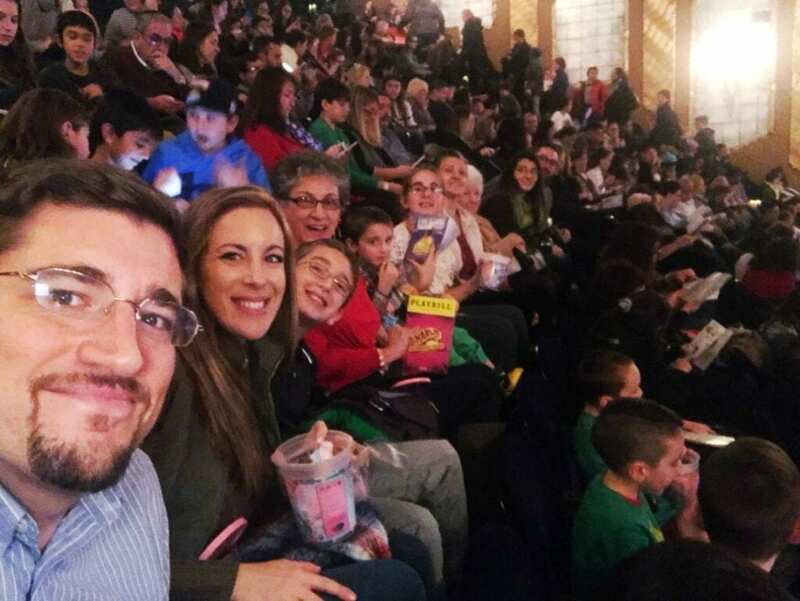 Two years in a row, we headed into Manhattan for some theatre. I wonder what we will see next Christmas?